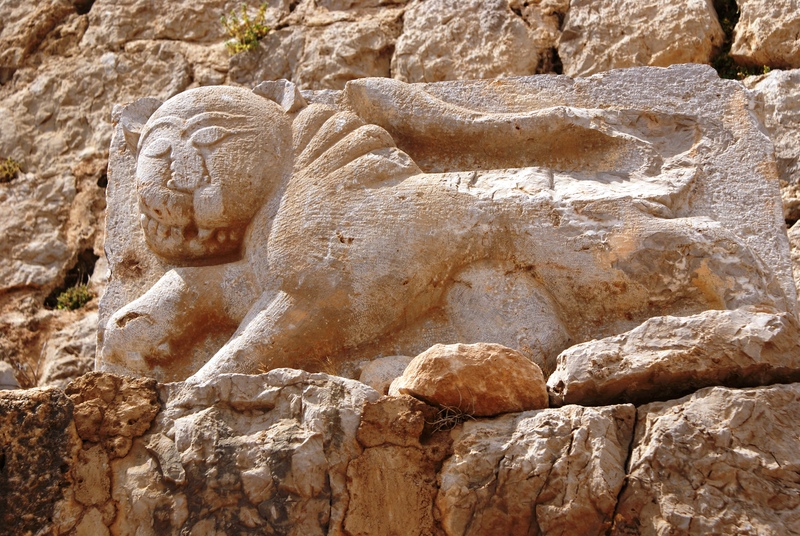 Situated at 2,600 feet above sea level, on a spur on the slopes of the northern Golan Heights, it is easy to see why the site of Kal’at Nimrod would have been chosen by castle-builders of days gone by. But contrary to what many people think, this is not a Crusader fortress. 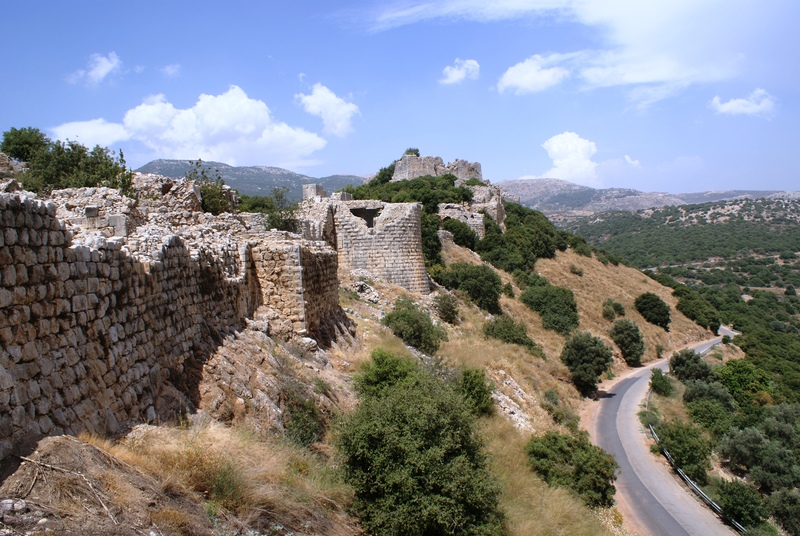 In fact it was built around 1228 by the nephew of Salah ad Din – Al Aziz Uthman – in order to guard the route to Damascus and prevent the advancement of the Crusader army led by Friedrich II. 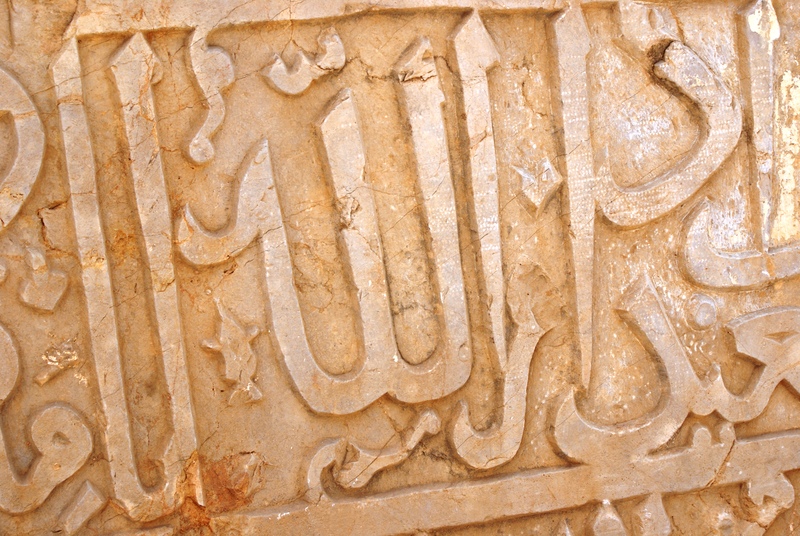 Later, after the Mamluk conquest, it was extended – with the building work recorded in inscriptions dating from 1275. 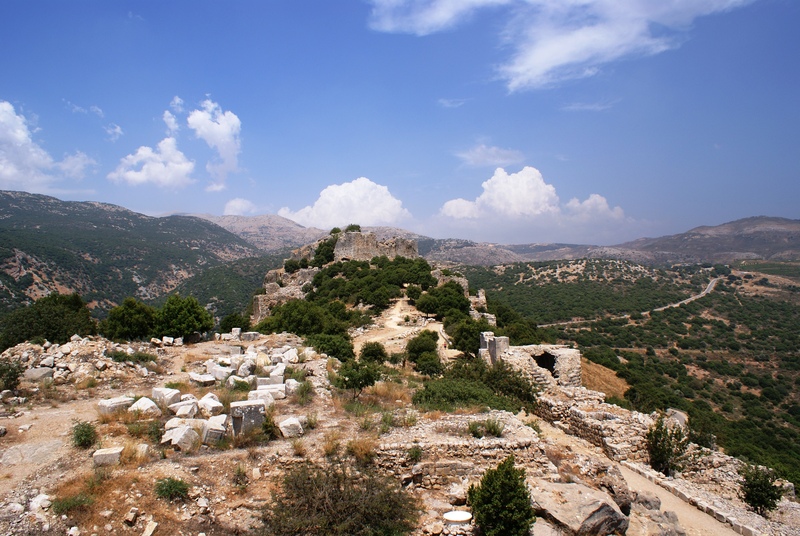 After the defeat of the Crusaders, Kal’at Nimrod lost its strategic importance and fell into disrepair. The Ottomans later used it as a prison and in the 18th century it was further ruined by an earthquake. 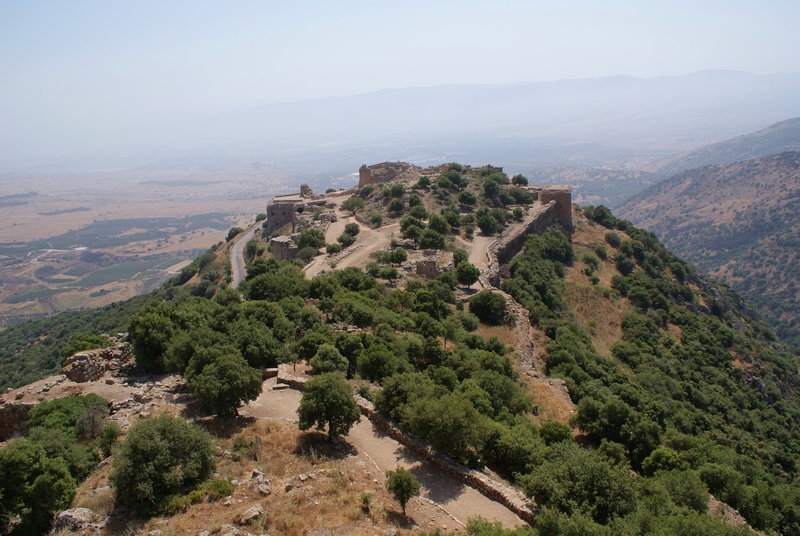 The fortress offers wonderful views of the Upper Galilee and the Hula Valley below, as well as the Druze village of Ein Kinya (the oldest of the four Druze villages in the Golan, dating from around 1860) , nestled in the lower slopes of Mount Hermon. Photos by Akus & Hadar Sela. 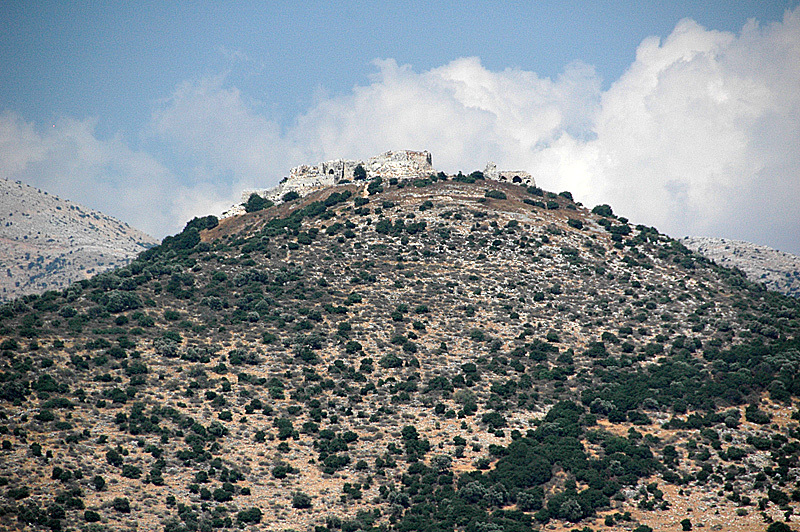 According to a legend the Nimrod fortress was the seat of the first Muslim suicide terrorist sect – the asassins, their cult leader (Hassan i-sabbah), called the Sheikh al Djebel (Lord of the Mountain) lived there. Probably it is not true, their only connection to the place is the Mamluk sultan Baibar who used their services and their operational center was in Alamut (present day Iran). The Golan Heights are Israel ? They are officially annexed by Israel, and citizenship has been offered to its inhabitants. For all intents and purposes, yes, it’s within Israel. ok I just annexed your watch hand it over. Is that seriously going to be your argument? Have you descended so low? 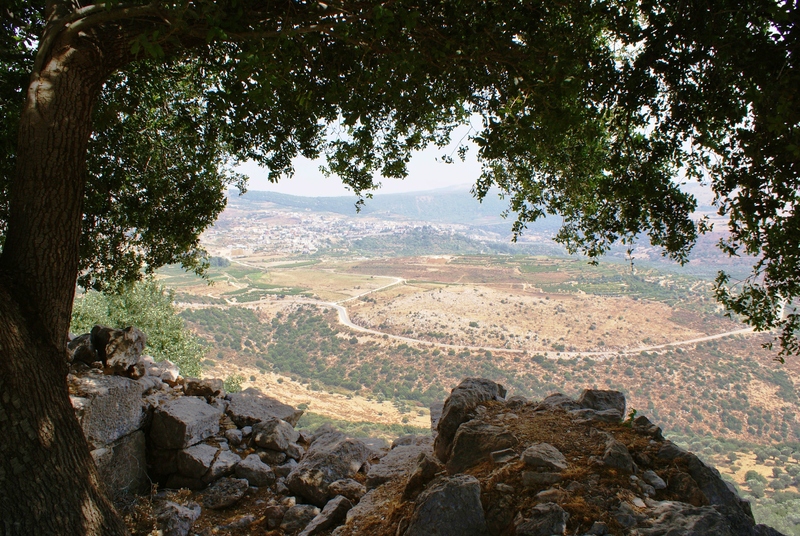 The Golan Heights were brought under Israeli jurisdiction following a defensive war. UNSC resolution 242 specifically omitted the article “the”, to indicate that Israel didn’t have to withdraw from ALL the occupied territories, without a peace treaty guaranteeing its(Israel’s) security(this established the “Land for Peace” formula). As such, the territory was submitted to the principle of uti possidetis. We all pray that someday, when a new and democratic Syrian government is installed, such a peace deal could be signed, and resolve all questions pertaining to the final borders between the two countries. The Golan Heights is in Syria. Under international law, its official name is “the occupied Syrian Golan”. The local population, the Druzes, are Syrian citizensm not Israeli citizens. The Golan has been occupied by Israel since 1967, following the conflict with Syria. 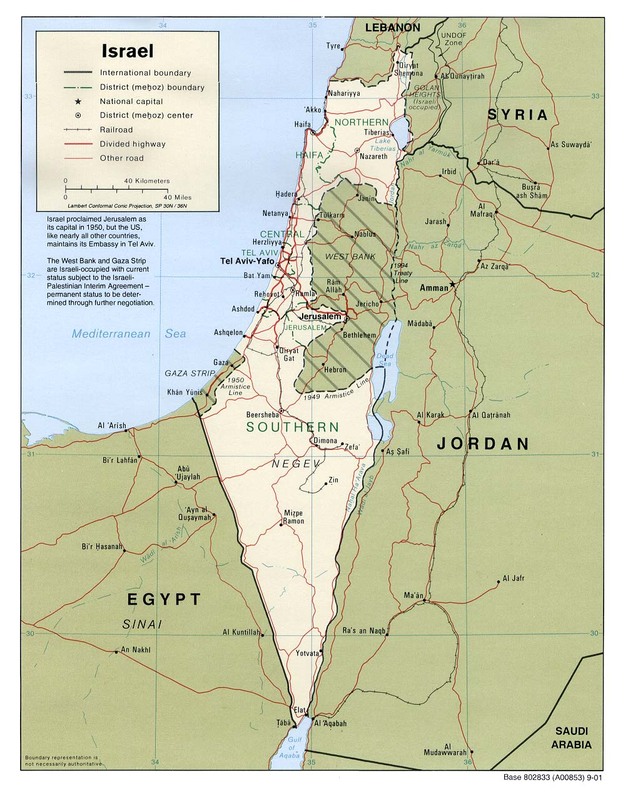 It doesn’t LOOK, on all the maps, as if it’s in Israel. Thanks for reminding us, originaljap, that the West Bank MUST NEVER become 100% Palestinian. Look at how Israel’s Mediterranean coastline from Tel Aviv upwards is only 10 or 12 miles from the pre-1967 ceasefire lines. As for the Golan, it officially belonged to Syria how long? – 20 odd years after they took it over from the French mandate. A real Zionist is someone who lives in Israel. Unless I’m very much mistaken, neither you nor I are real Zionists. rz is on the thick side as well as being a compulsive troll. So it isn’t surprising that he or she is baffled by facts, let alone mediaeval Latin. Sometimes the trollls are very useful, like in your case – you demonstrate the intellectual and moral depth of the anti-Israel crowd. To say nothing of motive. I’ve yet to read a single comment that shows genuine interest and concern for the very real people caught up in this conflict. Pretty scenes. The carved writing and the lion are very beautiful. Do you know what the inscription says? Also, what kind are those trees clustered up the hill? 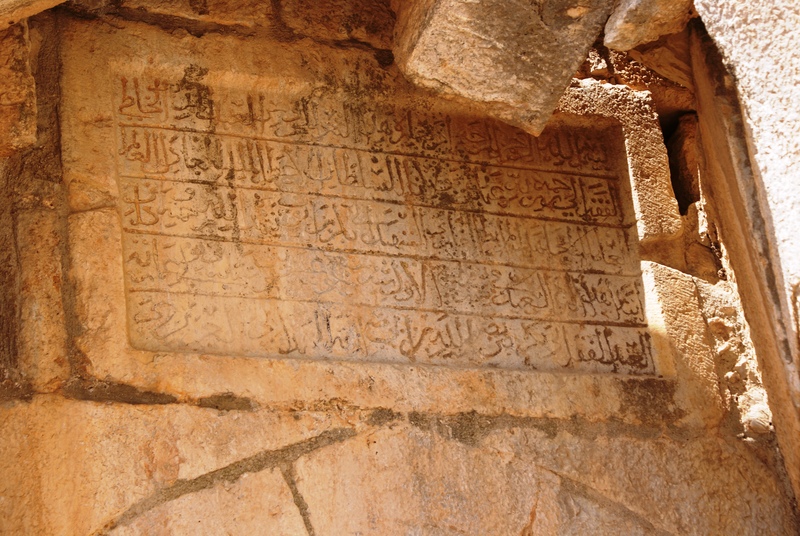 The inscription contains the words of Bilik, the Mamluk commander who was put in charge of the citadel. He explains how he expanded the Citadel after mamluk sultan Baibars ordered it, and he glorifies the sultan. 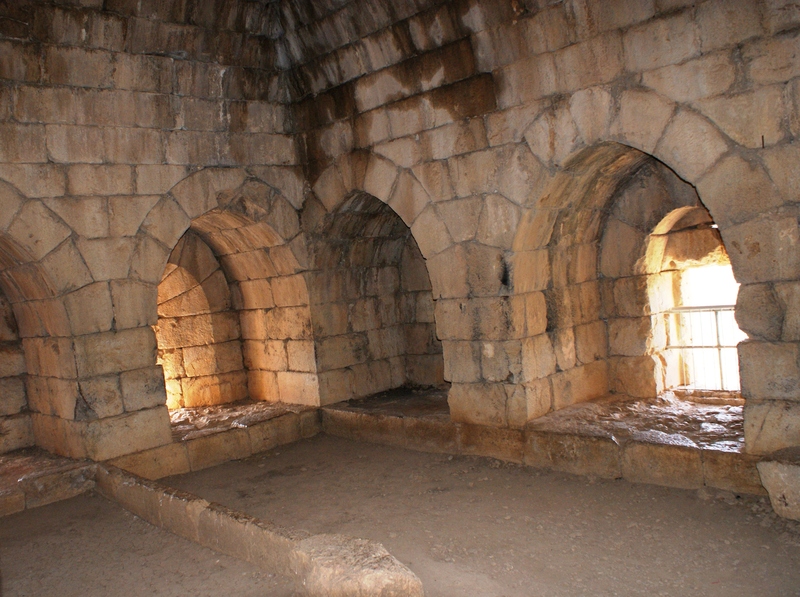 After the latter’s death, his son had commander Bilik executed, apparently because he feared the commander might compete for power from the fortress. 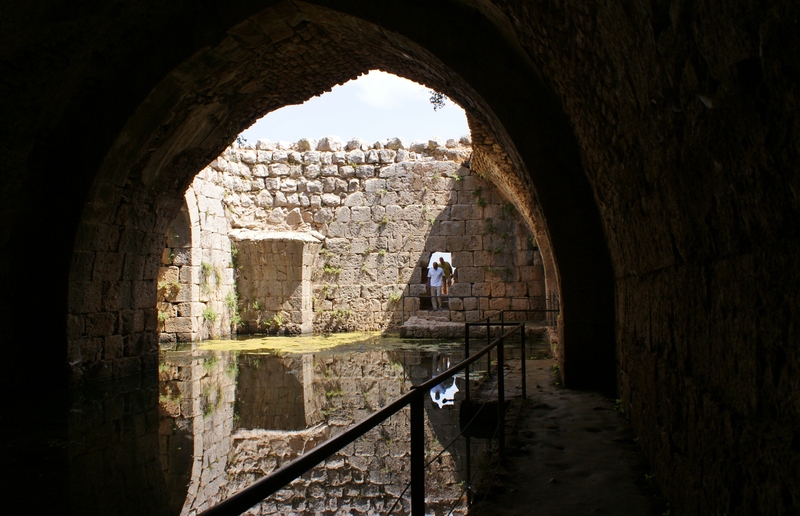 For centuries locals believed that the Citadel was built by the Crusaders. Only when the inscription was found did archaeologists realize that it had actually been built by Saladin’s nephew in a bid to deter Crusaders in 1929, and expanded by Bilik on sultan Baibars’ orders around 1260.